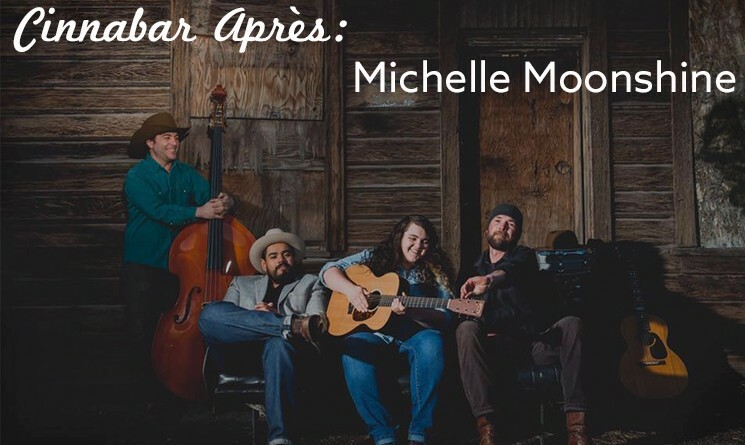 Don’t miss free live music in the Cinnabar with Michelle Moonshine playing Honky-tonk and Americana Mountain Music on Sunday, November 24th from 3:30 pm - 6:00 pm! Michelle Moonshine will be joined with her band on Sunday, January 6th and Friday, March 8th from 3:30 pm - 6:00 pm. See full 2018-2019 music line-up here.